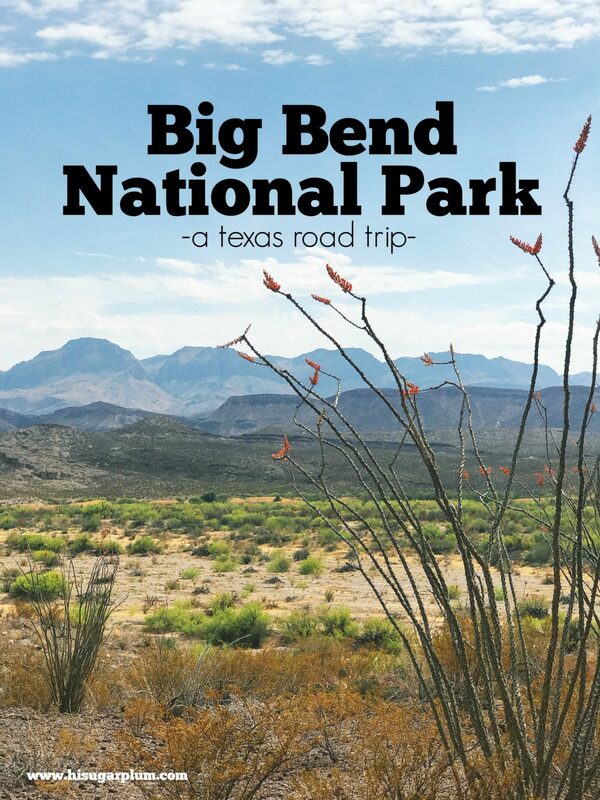 Trip Report | Big Bend National Park (+ What I Packed & Where We're Headed Next!) | hi Sugarplum! 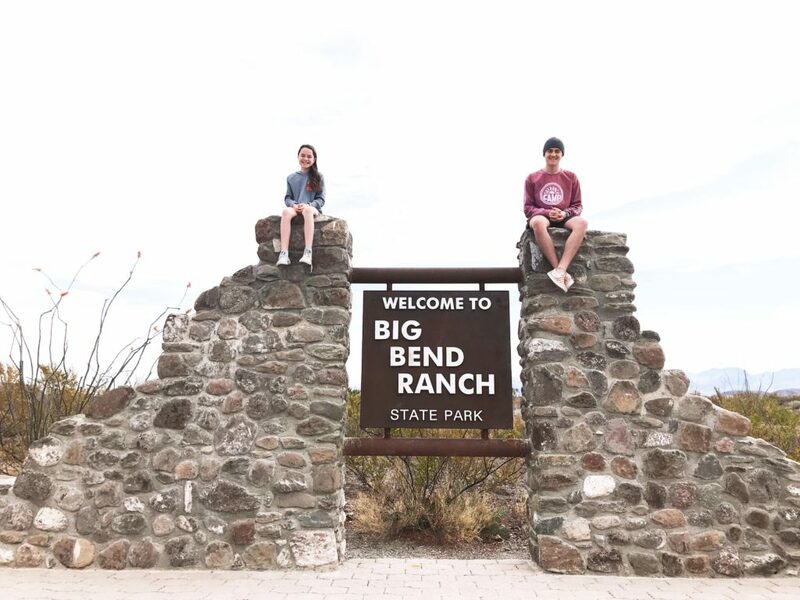 Last month I shared the first half of our Spring Break road trip through the unique West Texas towns of Alpine, Marathon and Marfa, and today I’ve got Part 2 of our adventure…Big Bend National Park! 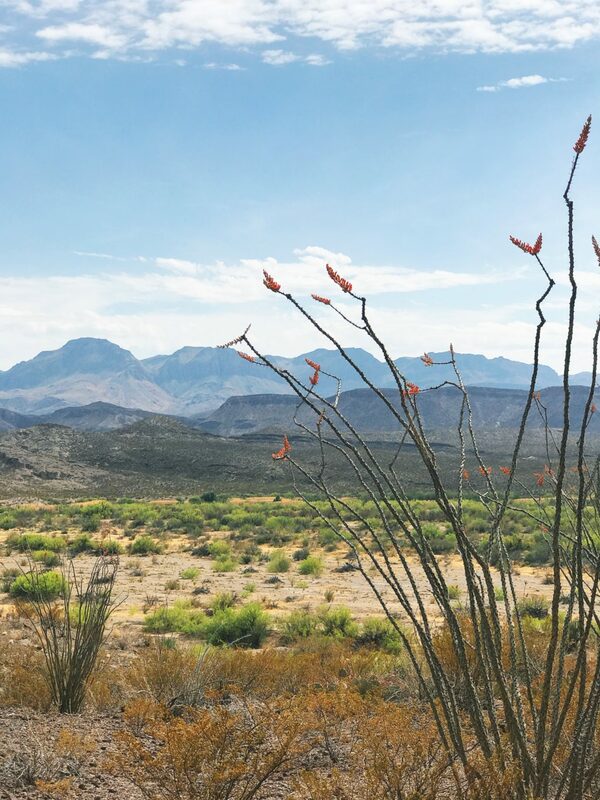 As you venture south towards the border, the ranches get larger, the terrain more rugged, and the time between passing cars stretches further and further apart. The sky gets bigger and the landscape even grander. 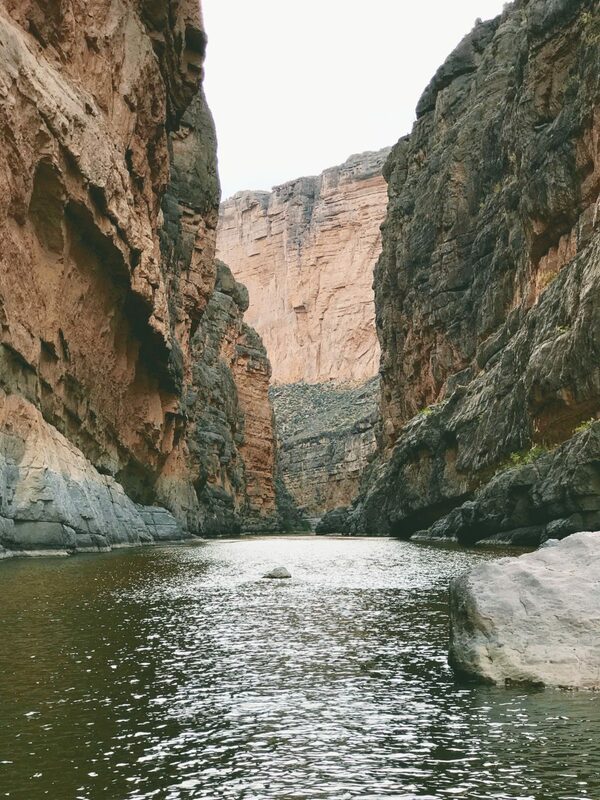 Big Bend National Park is larger than the state of Rhode Island, and you could easily spend a week hiking and exploring the rugged scenery, and not even skim the surface. And when the sign says, ‘No services for 90 miles!’, it absolutely means no services! No gas, no water or snacks, and certainly no cell service! 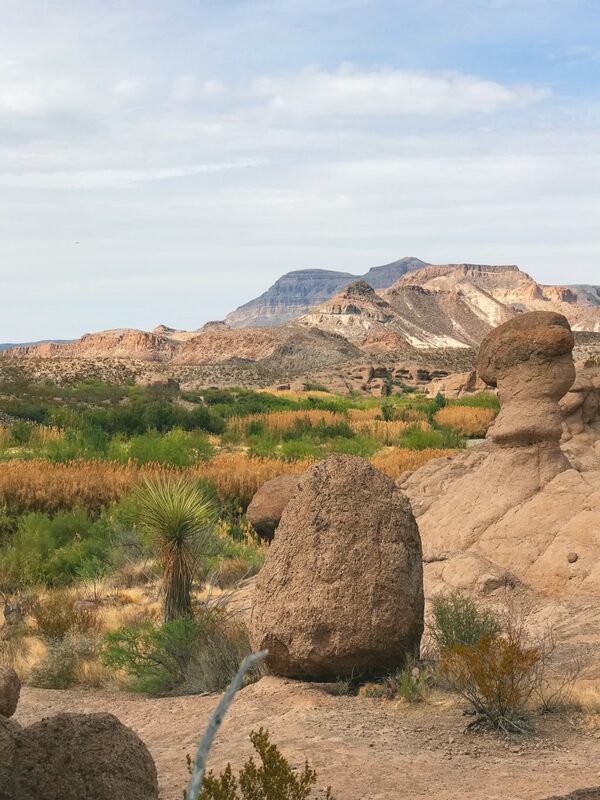 But that’s part of what makes the depths of south Texas and the Chisos Mountains so special…wide open spaces and pure tranquility. The only lodging inside the park is Chisos Mountain Lodge, but the limited rooms book a year or more in advance. 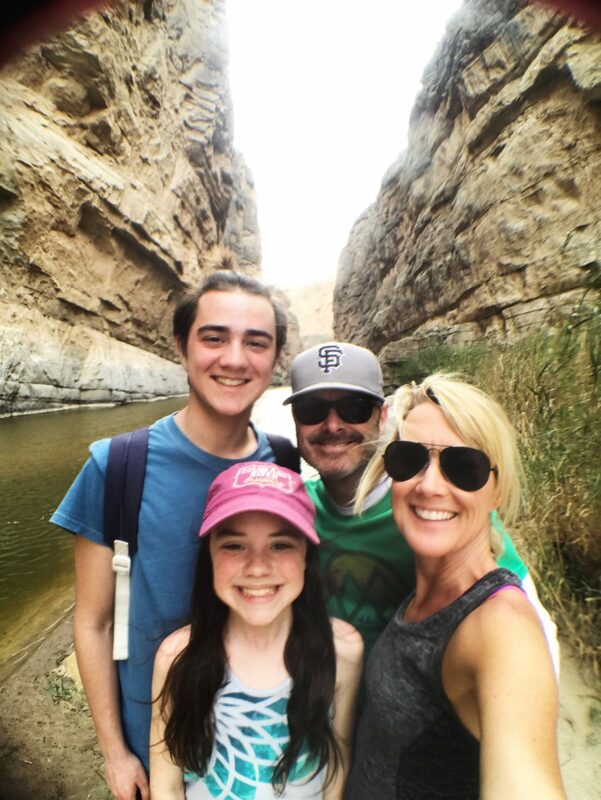 Many people stay in Marathon (70 miles away) and day trip to the park each day, but we opted for Lajitas Golf Resort & Spa (20 miles away) for the shorter daily drive. The resort looks like the movie set of an old Western, and has a feeling of community, and full of large common areas where families congregate at the end of the day. Our kids had so much fun playing games and exploring the property. 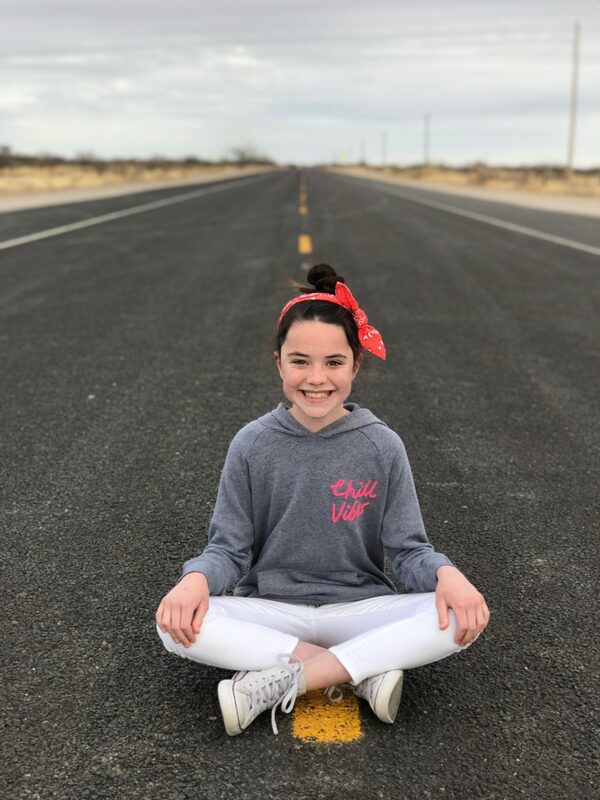 Lajitas Resort is a mini-town in itself…market, gas station, bakery, restaurant, first-class golf course, pool, nightly movies & smores…kind of like summer camp! Which is a good thing since there is literally nothing else for hours around! We loaded up on breakfast burritos and sandwiches every morning, explored the Park and surrounding areas all day, and then convened for dinner and games at the hotel every night. Most nights we took a blanket to the golf course and just lay staring at the billions of stars. I’ve never seen anything like it! The only downside of the hotel is the rooms are dark and a little tired, and the rates are completely absurd during peak seasons. But again, there are very few options if you want to stay close to the park. 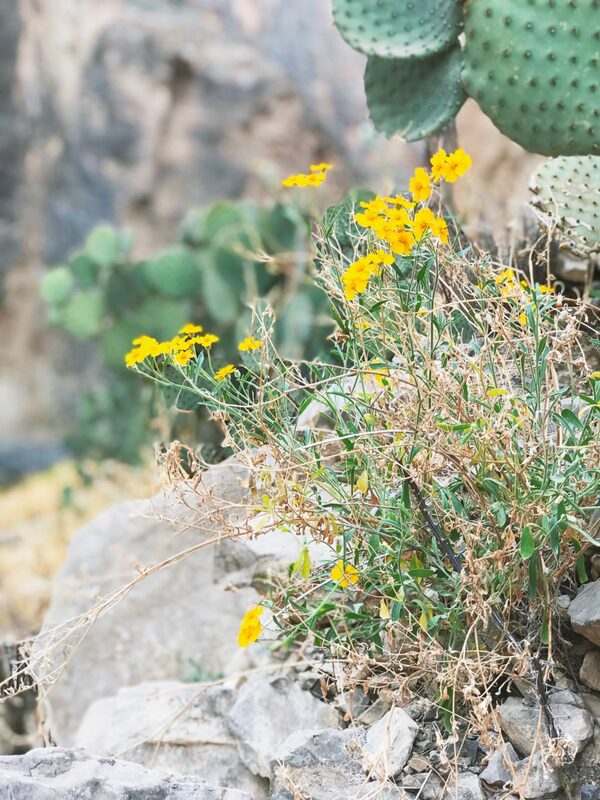 We spotted Terlingua Rentals (even closer to the park) and thought they were a really great option if you aren’t looking for all the amenities of a resort. 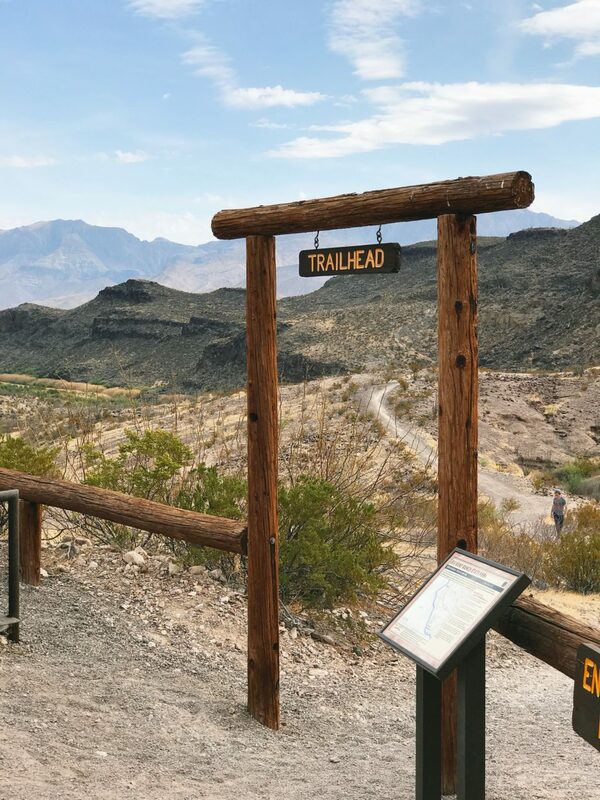 Window Trail // This out-and-back trail is just over 5 miles, and leads you along the riverbed to the ‘window’ view. Or you can choose the 10-minute paved sidewalk trek out to the overlook. 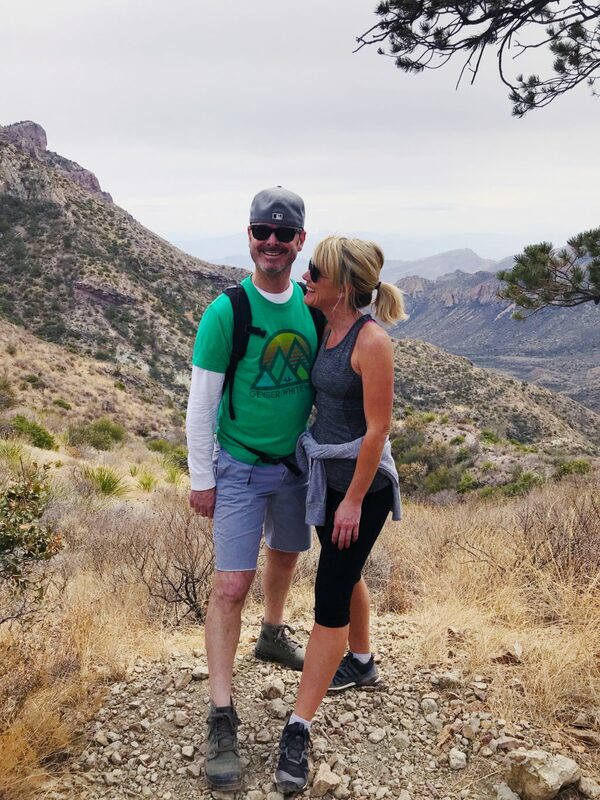 Lost Mines Trail // Easy hike up a rocky path dotted with fragrant piñon pines, with towering stone formations and scenic lookout views of Mexico. 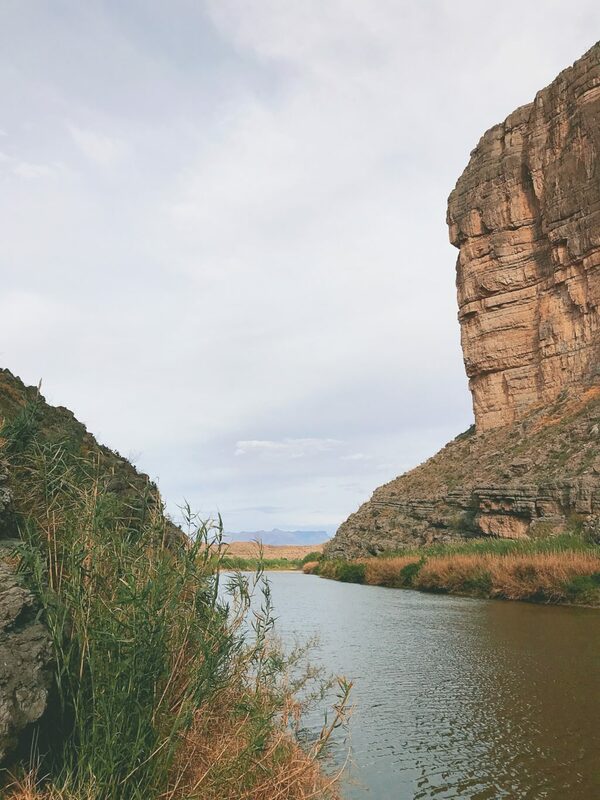 Ross Maxwell Scenic Drive // Not actually a hike, but rather the road that leads from the Chisos Basin to Santa Elena Canyon, full of overlooks, scenic vistas, and following the Rio Grande with towering canyons. 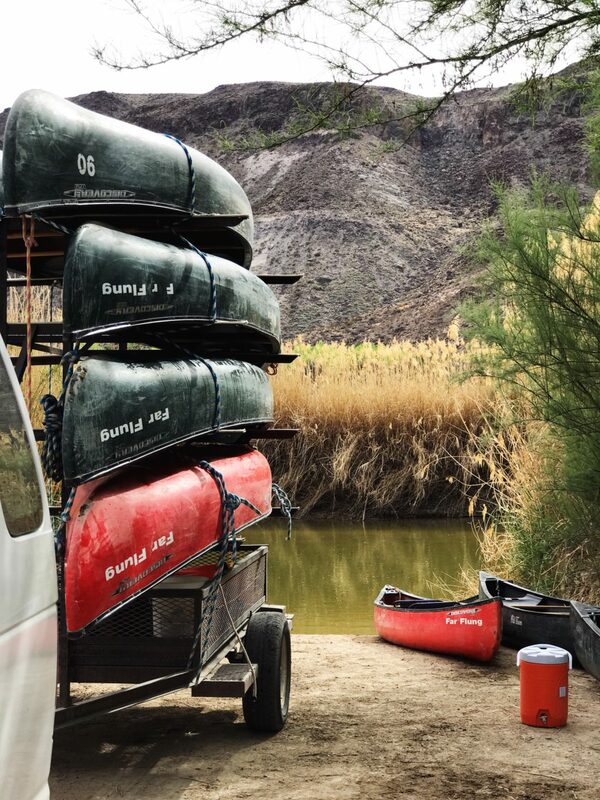 Far Flung Company // Located in nearby Terlingua, they offer rafting, floats, and canoe trips down the Rio Grande (each depending on the water levels). They picked us up at the hotel and we had a fun afternoon floating the border of US and Mexico. 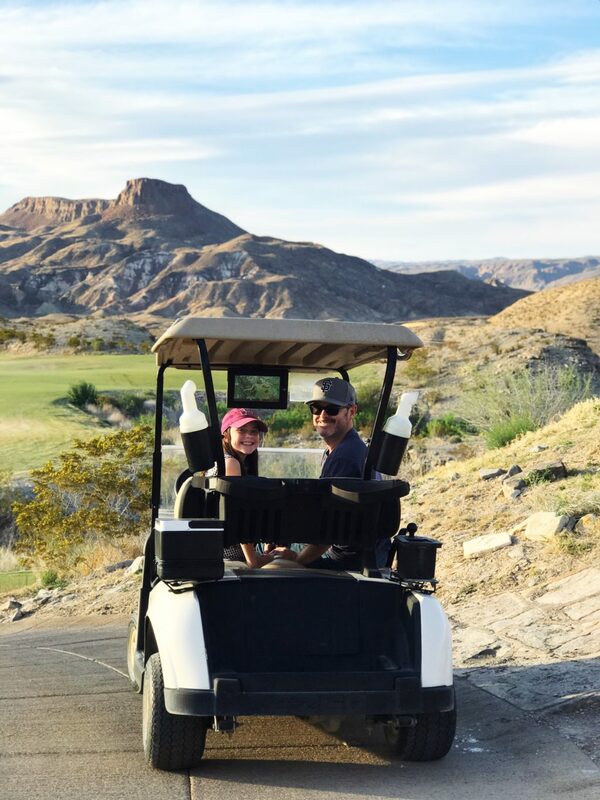 Lajitas Golf Resort & Spa // Rent a golf cart and drive the 18-hole course. It’s unbelievably gorgeous! 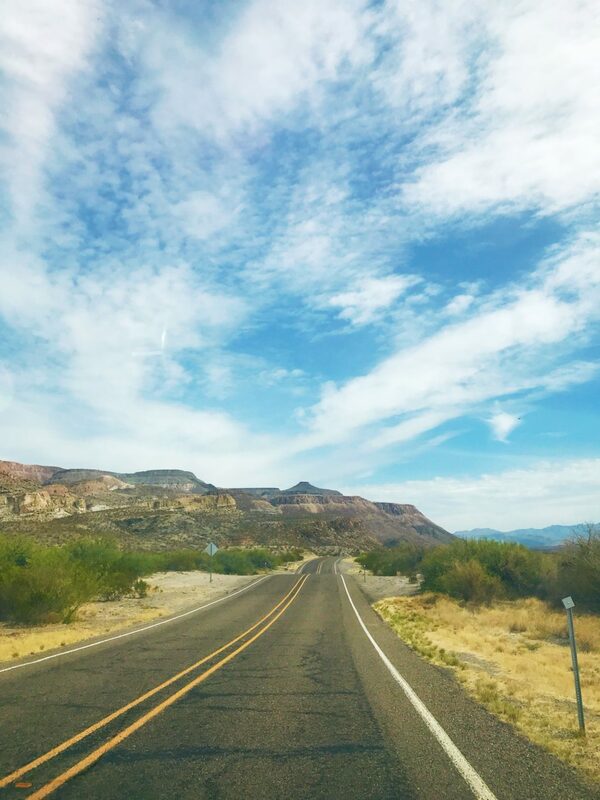 El Camino del Rio (River Road) // A 60-mile stretch of desert highway connecting Presidio to Terlingua, National Geographic deems this drive in the Top 5 most beautiful in North America, and certainly the most scenic in Texas. Countless: Memories made unplugging and exploring our home state. 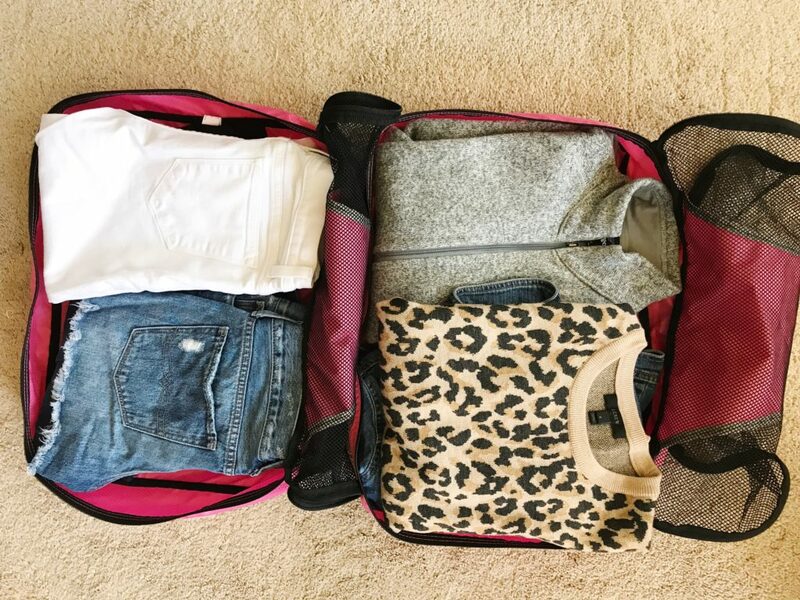 You guys have requested more detailed packing posts, so here’s a breakdown of what I packed for the week-long road trip that included flying, driving, hiking, rafting and in-town exploring. 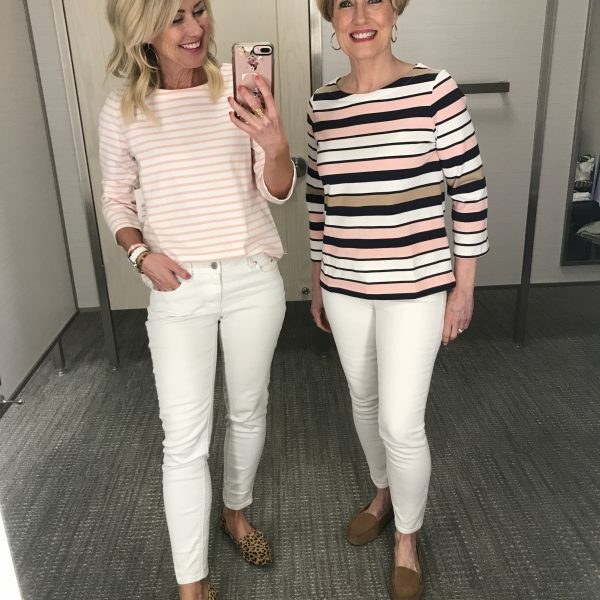 You can see the actual outfits in this post and this post. 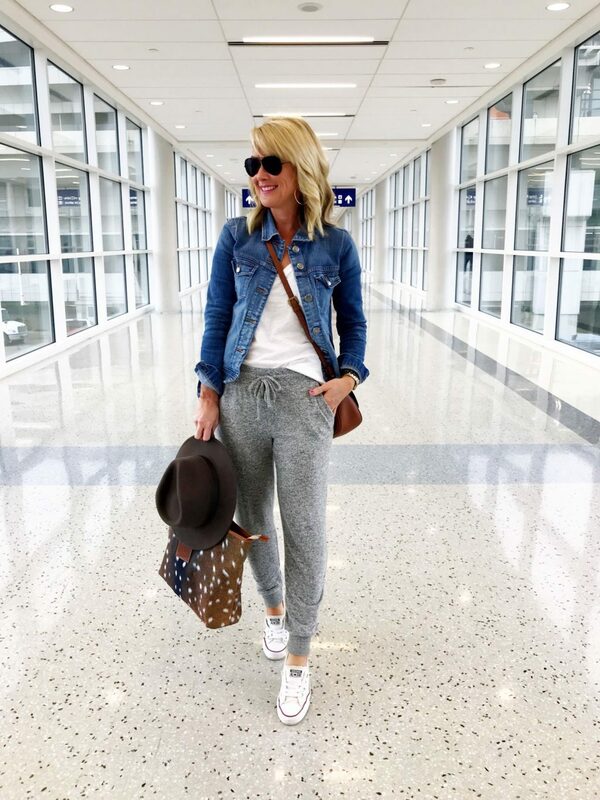 I never travel without a white tee, light jacket, sneakers, hat, and swimsuit. 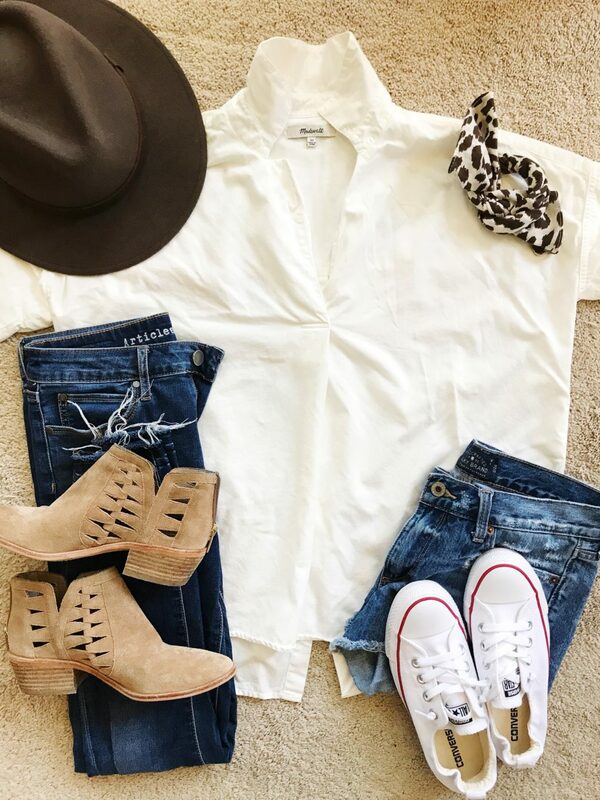 The rest of the pieces were mixed-and-matched to create several options! 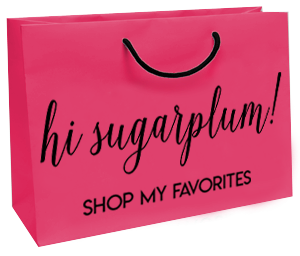 Sugarplum Travel Tip: In the same week, we experienced temperatures in West Texas from the 20s to the 80s, so plan and pack accordingly! 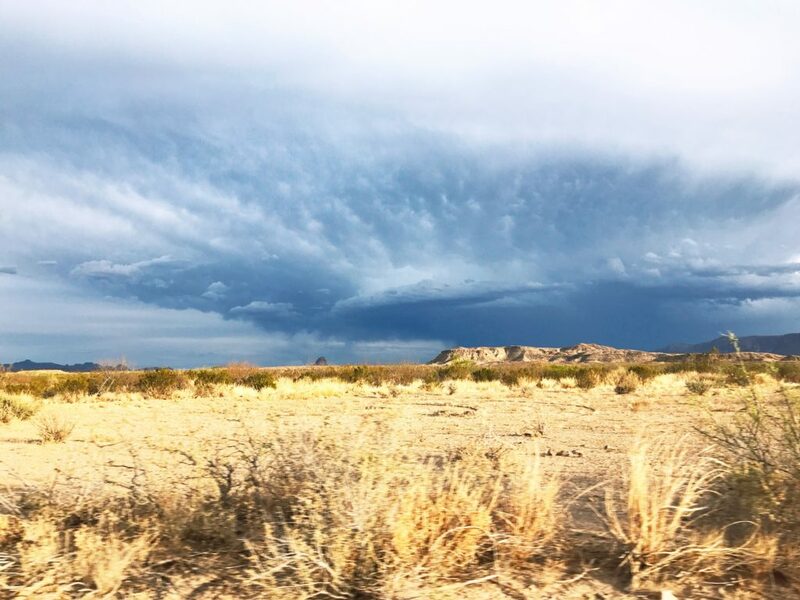 See Part 1 of our trip, including Marathon, Marfa, and Alpine in this post. And all our travel adventures here. 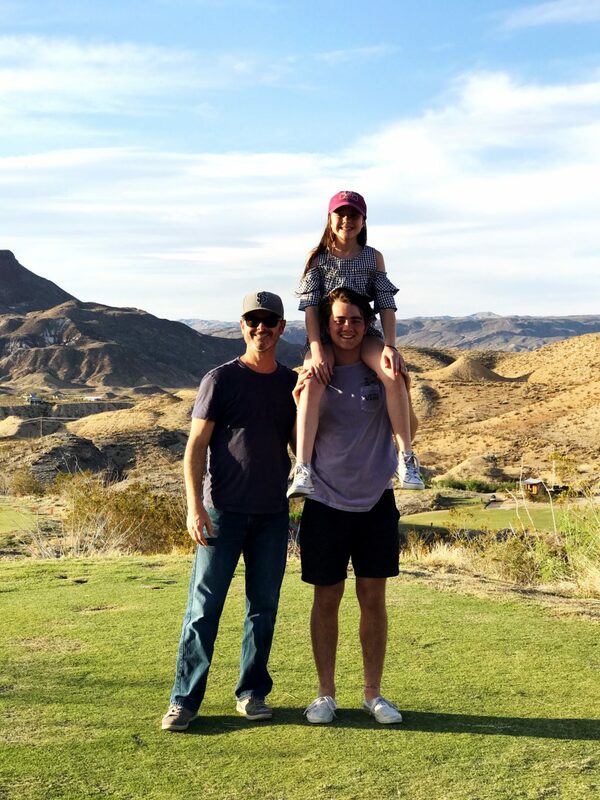 These family trips are highlights of my year, and memories I’ll always cherish. If you follow me on Instagram, you saw we surprised the kids with our next adventure over the weekend! Mr. SP and I celebrate our 20th wedding anniversary this month, and we’re so excited to travel to one of our long-time bucket list places….Kauai, Hawaii! 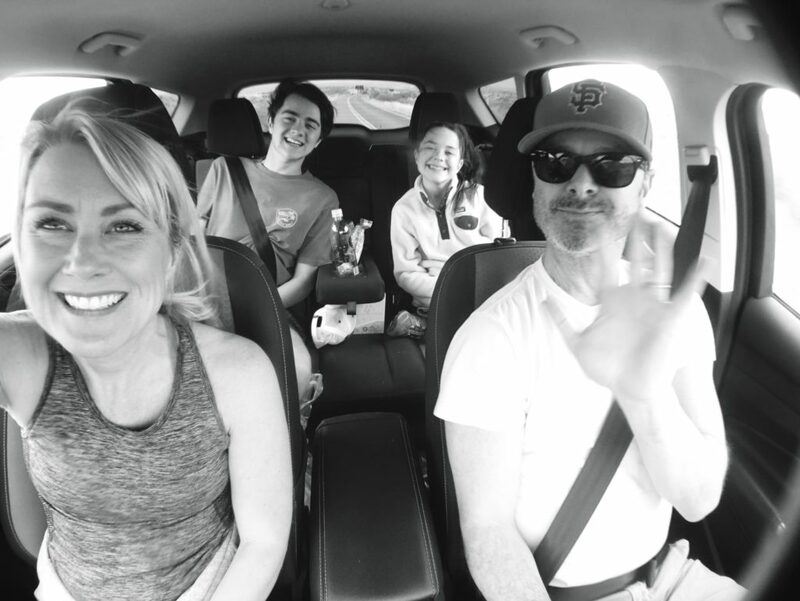 We believe a strong, healthy marriage is the best gift you can give your kids, and its something we work hard on every day…so we decided to bring them along to celebrate the milestone as a family! We leave Sunday, so leave me all your Kauai tips and faves!! Kauai is beautiful!! Go to Polihale State Park at sunset. This beach is completely unspoiled natural beauty and was just so beautiful at sunset. Warning- you do have to drive for like 3 miles on some pretty rudded roads but it was so worth it! Also, If you can, do a helicopter tour. This was one of the highlights of our trip!! Pricy but amazing!! Wow, what a neat trip. If I don’t see another car or human being on a road trip for an hour, I get nervous! Adidas makes thee best hiking shoes, hands down. 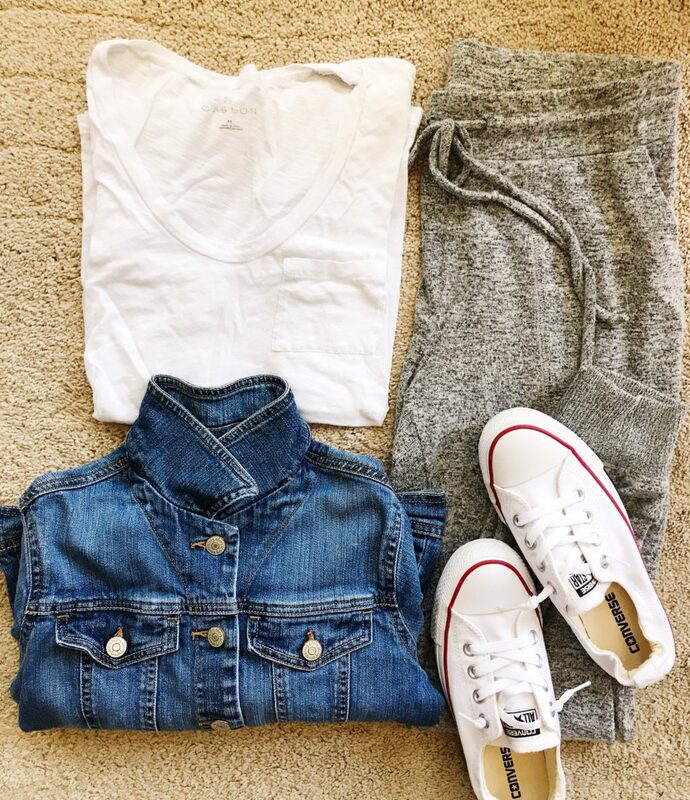 So smart how you packed, everything goes w/everything else. Brilliant. Kauai, oh you two will have fun. It’s quiet, laid-back. Will dig up a few more tips. Awesome! YES!! 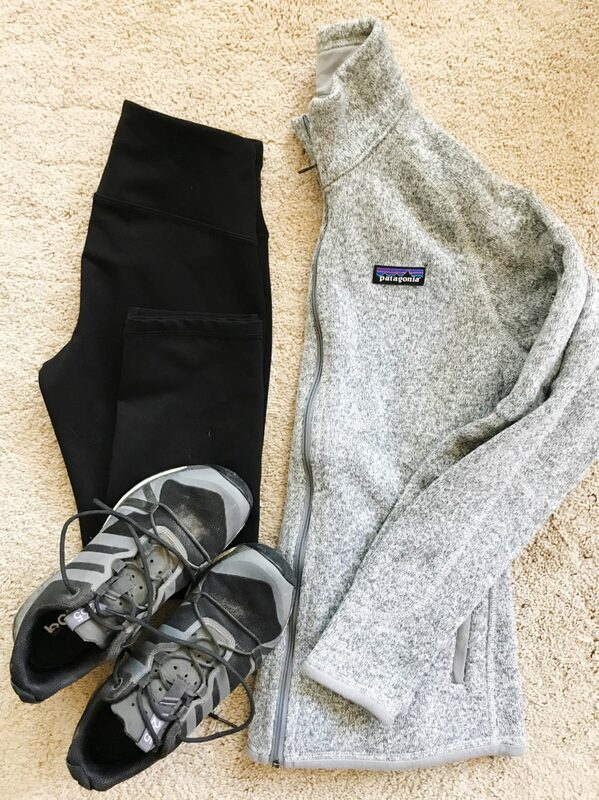 Those hiking shoes are amazing!! I’m glad they worked out for you! Love Texas! Thank you so much for sharing, loved every picture and cute family. Enjoy Hawaii! Great post! And I can’t wait to follow along on your Hawaii adventures! Happy happy 20th anniversary! What a major milestone! Hawaii is going to be amazing! We loved Kauai! Rent a Jeep and drive all around the island, tour the Napali Coast by boat (a must! ), take a zip line tour on the north shore, hike Waimea Canyon. So much to see and do on each shore. We loved being able to tour the island on our own and since it’s so small, it’s easy to learn your way around. Have a great time!! Me again. Kauai, oh my. Poipu Beach, but stop and see every beach. I know you will! Waimea Canyon St. Park-the Grand Canyon of Hawaii. If it’s too cloudy up there, try again later. The town of Hanalei, so charming! Past there is a beach you must walk through a jungle to get to, but when you do, you have reached nirvana! Caves, mountains, streams, waterfalls, no words to describe it all. Snorkeling gear needed, rent or buy prior to trip. Hope your condo/hotel is on the sunset side. You can hear the ocean waves from your room! And the airport itself, it’s all teak wood, gorgeous! Getting a convertible, I hope! Trip of a lifetime. Shhhh. Don’t tell the kids! Love the topic today! 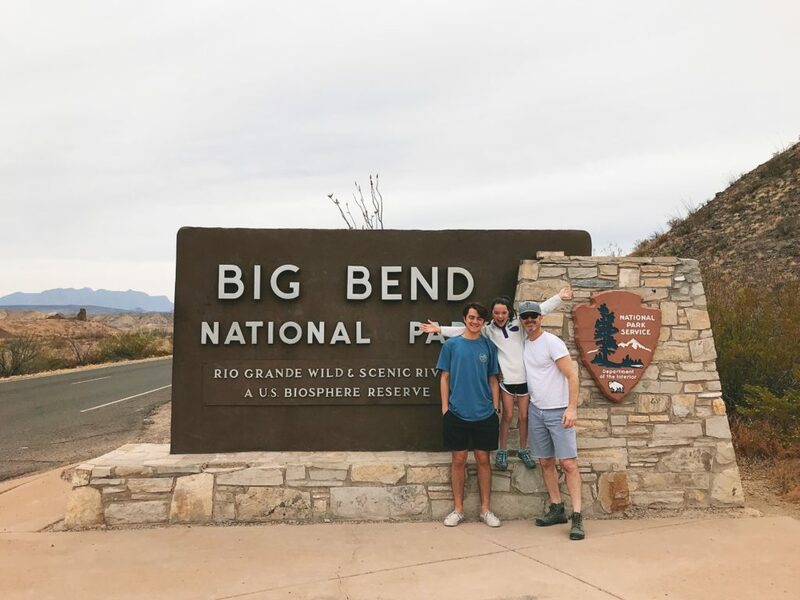 My family has always wanted to go to Big Bend. I can’t wait to hear all about Kauai! We have already booked a house for spring break 2019. Happy 20th Wedding Anniversary!! These vacation photos are beautiful. Have a fantastic celebration in Hawaii! Happy Anniversary! Hawaii is amazing. omg..when did your son become a man?!!! Your family will love Kauai. Less crowded and more laid back. My husband and I did the kayak trip and then the hike through the rain forest. It is on the east side of the island, near Kapaa. My husband and I loved it. Your kids will love it too!! Happy Anniversary and congratulations to you two lovebugs! Kauai is my favorite island because it is not as congested and touristy. Don’t miss Smith’s Tropical Paradise for the best luau on the island, if not in the state of Hawaii. Their website is http://www.smithskauai.com. I can’t recommend it enough! And obviously don’t miss Waimea Canyon, the Grand Canyon of the Pacific. Have a wonderful trip, and I look forward to pictures and posts. You’ll have an amazing time in Kauai! 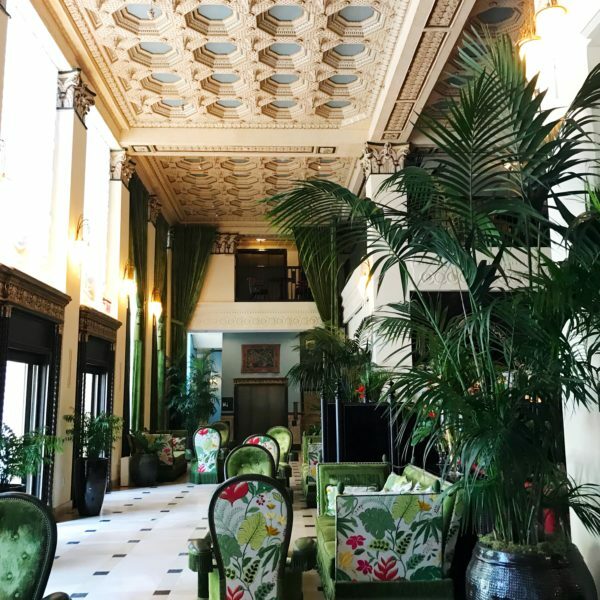 We just went for our babymoon in December, and it was incredible! Kauai feels much more laid back and less touristy than most beach vacations. A helicopter tour is a MUST! Expensive, but so incredible! We flew through a double rainbow (also, rainbows are actually completely round but you can only see them that way from the sky) SO AMAZING! Make sure to eat a ton of shave ice- NOT the same as a snow cone, it’s a whole other magical treat. Also, if you’re in the Poipu area, look up Da Crack restaurant. Literally the best burrito of my life, and I grew up on Tex Mex! Secret Beach is a real treasure, and there is tons of incredible hiking on the island. Have a wonderful time!! 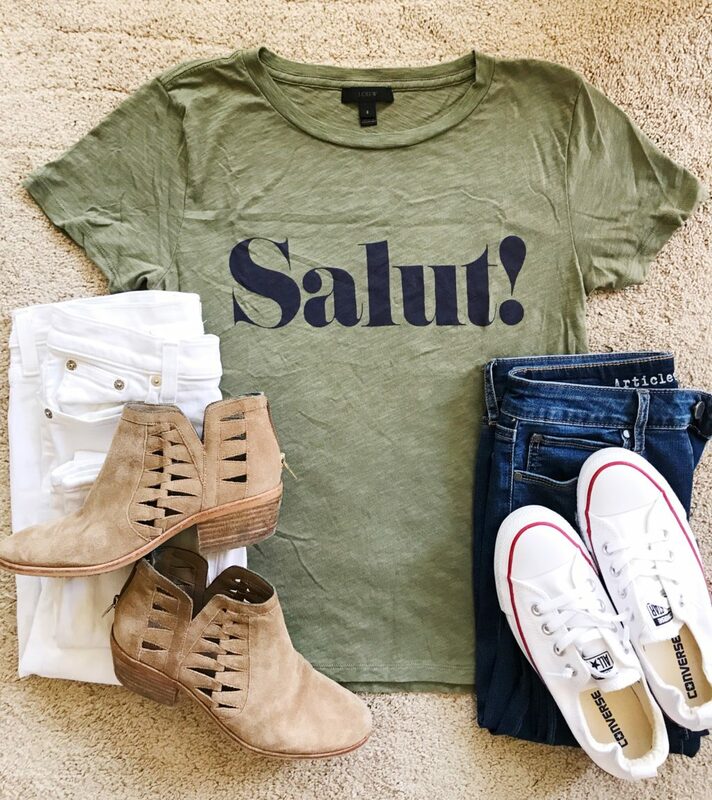 We’re planning a November trip to Phoenix, Az, the Grand Canyon and Santa Fe so many of your packing tips will come in handy. I’ve just been re-reading your trip reports from the Grand Canyon and surrounding area again to help us plan our trip. Have fun in Kauai. Tip: rent the movie “Honeymoon in Las Vegas”. Kauai is heavily featured and it’s fun to spot movie locations. HI! I love all of your trips with suggestions for lodging, clothes and side trips. 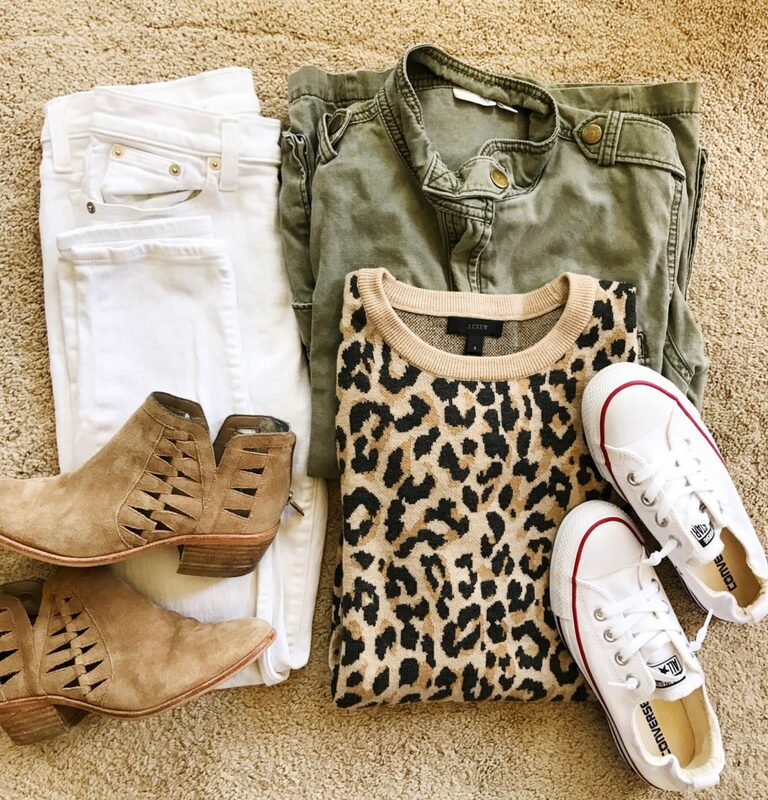 What kind were those suede booties? I’m glad y’all have great family trips, it will mean so much for so many years. I understand, my children are grown and married, we have these type of memories. Hope you have a fun Hawaii trip!! I hope we can continue these trips even when our kids are older!! And those booties are several years old, by Vince Camuto. 20 years Congrats!!! We are celebrating our 25th next year and taking a cruise around Italy/Med. in Sept. I can’t wait! Kauai is one of our fav. places. We’ve gone twice and plan to visit again and again. Our teen boys /family enjoyed the ATV tour! A helicopter tour was the absolute best. 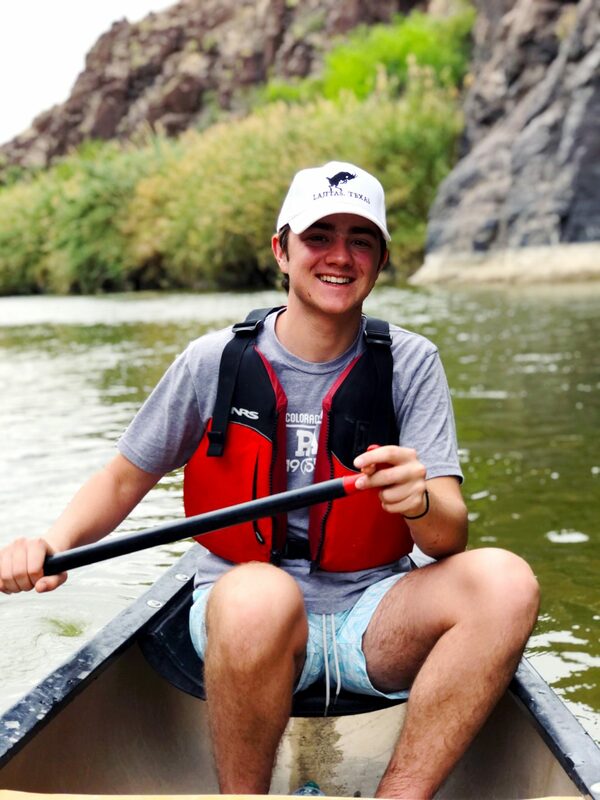 Our 17 year old, said it was like he walked right into Jurassic park, as the scenery is unreal and so lush, lots of waterfalls and areas you can only see by air. A catamaran ride around the Napali coast line is a must! You cannot view the coastline from land, so you will need to be on a boat or the helicopter. We saw spinning dolphins, really cool. They jump up and spin around. It is super easy to explore the entire Island, very drivable. Our family enjoyed renting a jeep and eating lots and lots of seafood! You will LOVE the Mediterranean! Check my Cruise category under the Travel tab….we did that cruise two years ago! I took so many notes from your post, girlie!!! Also, this book was a huge help for insider tips, like Queen’s Bath and honest reviews on restaurants! Beach House is a good one on the beach! Yes Beach House is good, book for sunset. Happy 20th! We go to Hawaii often and have found “The Ultimate Kauai Guidebook: Kauai Revealed” by Andrew Doughty (found on Amazon) is the BEST. We have one for each island. 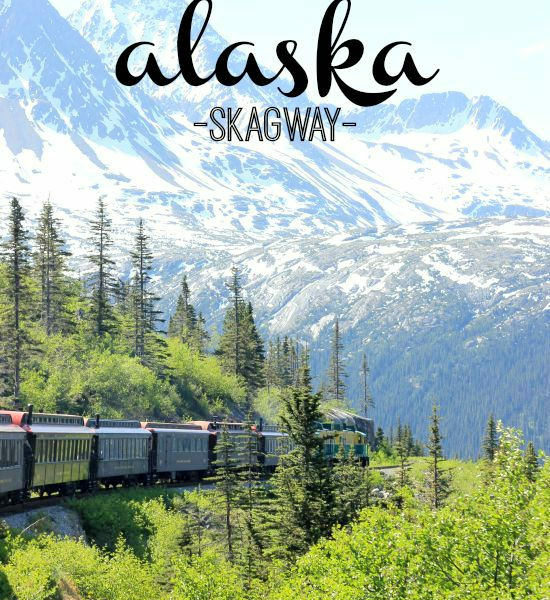 Great read…includes maps, tells you of hidden gems, must see places, great eats and the best adventures offered. YES!! I have that one!!! Glad to know it’s the best tips! That’s so cool, thanks Bonnie! 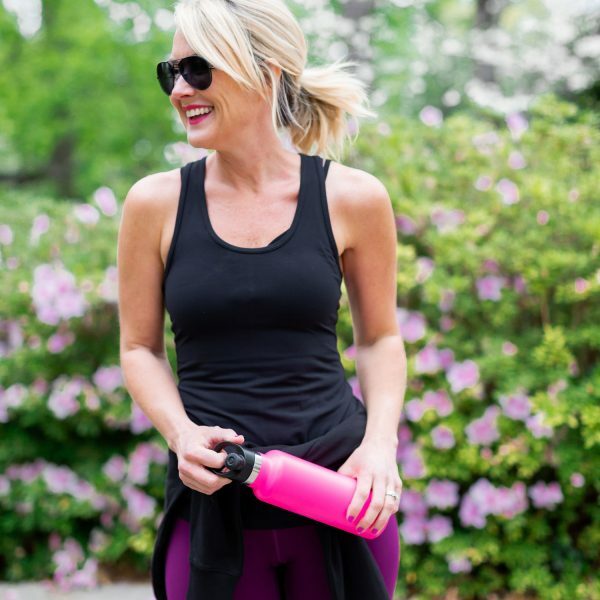 And I’m thrilled our PR posts were helpful!! Isn’t that such a lovely country (territory?)? Hi Cassie! My husband and I honeymooned in Kauai about a year ago and it was asbolutely, positively 100% magical. We stayed at the Grand Kauai in Poipu. I know you love a good taco, so if you’re in that area I would suggest Tortilla Republic. Merriman’s is another dinner recco. Also, I recommend a visit to the super cute, quaint downtown area of Koloa. It’s not fussy or a big to do, but it’s just got this amazing, chill Kauai vibe, and it just feels cozy. Have an amazing time, whatever you do and wherever you go, and happy anniversary! Definitely rent a jeep…there are tons of little side roads where you can go on 4×4 adventures. What size do you use most of on the ebags? I want to order but can’t decide what set to buy. Thanks! I have the multi-size pack and use them all. But I’d say the mediums get the most use! Seeing the Napali Coast by catamaran is my #1 favorite vacation memory of all time (we loved Captain Andy’s)!! Best snorkeling = Tunnels Beach. Loved kayaking then hiking to secret waterfall, too! https://www.wailuakayakadventure.com Whatever you do, you’ll have a great time & create wonderful memories. Enjoy!!! We are celebrating our 20th, too, in Kauai at the end of July! 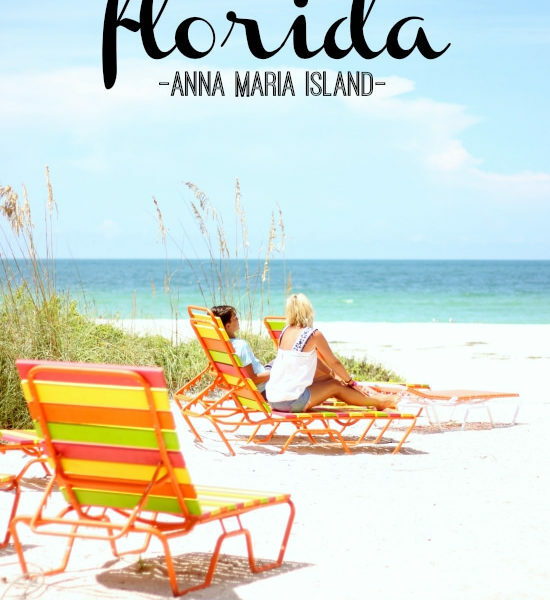 I will look forward to your packing list and trip report for your trip! 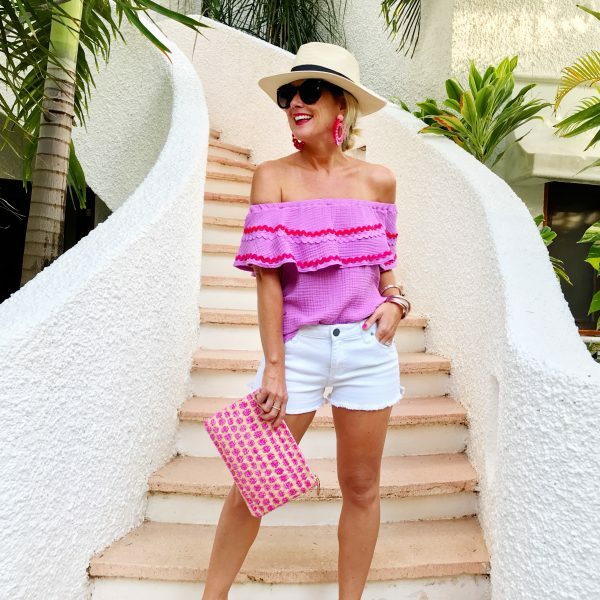 Your packing lists and trip reports have helped me so much! How fun!! Happy Anniversary to y’all!!! Thank you for such detailed trip posts, especially the spring break posts last year and this year to National Parks. 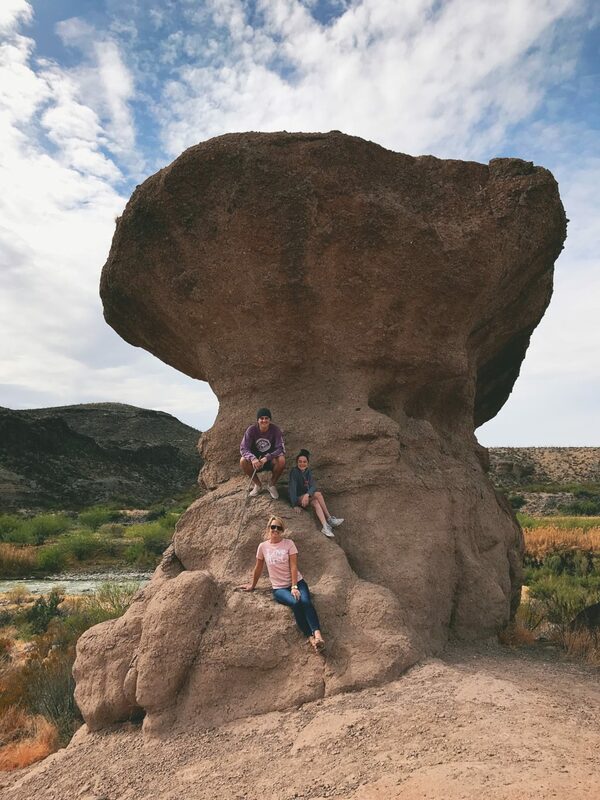 My family has been to four national parks with our kids and are starting to venture westward as they get older in the next few years so I really appreciate the details you’ve included and recommendations. I’m so happy to hear they are helpful!!! I don’t call them Travel Guides because obviously I can’t speak to if something is the BEST available, but rather, share our experiences and what we did. Definitely stop at Kalaheo Cafe and Coffee Company for breakfast burritos if you head out to Waimea Canyon! And Brick Oven Pizza – I think this is the original. Amazing. The Kauai Revealed book is super helpful. Congrats on 20 years! Everything looks amazing!!!! Wondering what kind of camera you have? I mostly use my IPhone but would like a “grown up” camera for memories with my kids. They will be a senior and sophomore and I’m cherishing the time I have left with them at home. Any recommendations would be great! Never commented before but a huge fan! Thanks!! You will love Kauai! My parents have a timeshare there and spend a moth there every June – we get to go too when we can. 🙂 It is a magical place! Great tips above already. Although Polihale is a great spot, you might not be able to get to it – or some of the northernmost beaches – due to the flooding rains they had earlier this spring. So many roads were washed out; I know they had closed the road to Polihale for a while. Poipu is the sunny side of the island, so if you’re not staying there, head there on the days the Princeville area is rainy. The little town of Koloa and the neeer shopping areas are great. We love Pizzetta in old town Koloa, as well as Tortilla Republic. Some of the best table-side guac we’ve ever had, and we’re Texans (neighbors to y’all) through and through! Always love your vacation posts with your cute family. Your pictures are always beautiful and it seems like you truly do all love your family time together. I look forward to hearing about Hawaii as we have never been and it’s a trip we hope to take one day soon with our kids. Happy 20th! 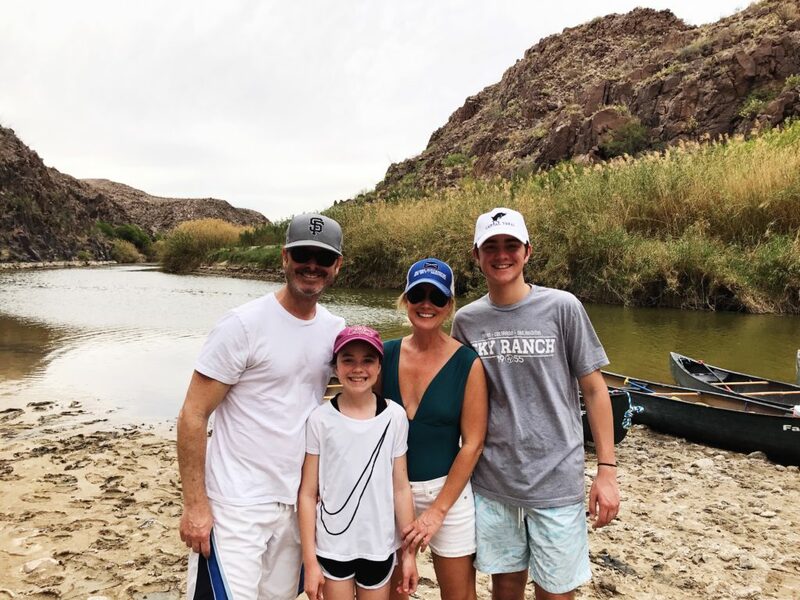 We take our kids to Kauai every other spring break and it is hands down our absolute favorite family vacation….and my kids are 19,17,16 and still ask to go! Along with all the wonderful restaurant suggestions above(Brick Oven and Tortilla Republic) we love Brenneke’s at Poipu Beach. 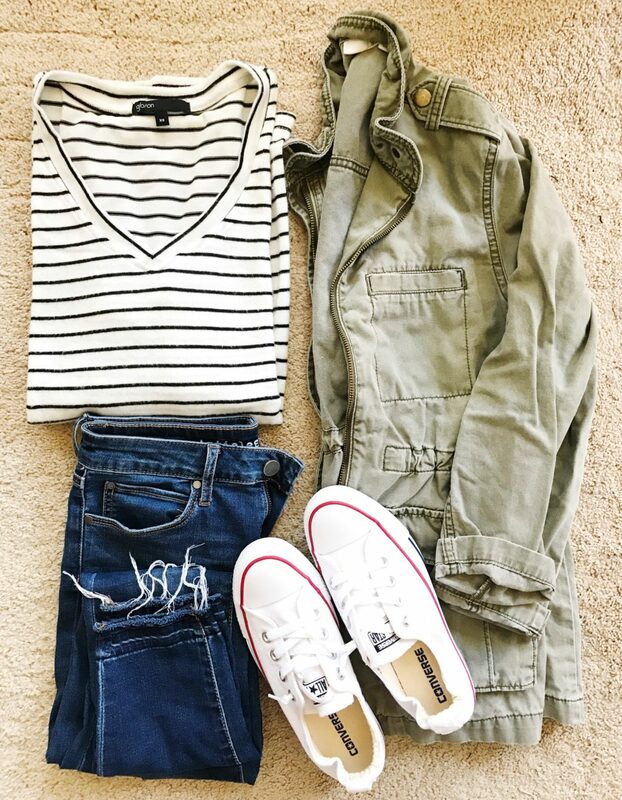 Casual great vibe. My one suggestion to add is after you get your jeep or convertible:)….head to Costco and purchase a snorkel set for each of you. That way you can pull over the car to all the beautiful beaches and jump on in! Lots of fun local stuff at Costco (amazing Poke) and close to the airport. I’m a longtime reader but have never commented before (but I find myself frequently clicking on your links and buying pieces you recommend!). We also love the Big Bend area and are planning our fourth trip there next fall, so always looking for recommendations of new hikes, etc. We took our two adult (twenty something) “kids” and my son’s fiance to Kauai for the week between Christmas and New Years and would go back in a heartbeat. You and your family will love it! We stayed in the Poipu area in a three bedroom house (through VRBO) but could walk to shopping and some restaurants, beaches (although we drove when we had a cooler, chairs, etc) and generally found the island very easy to navigate. Hiking is fabulous and we walked/hiked a different area every day (Waiamea Canyon, the first part of the Napali coast trail and the Mahauleo Heritage trail that starts near Shipwreck Beach near the Hyatt). We ate excellent meals at Brennekes, Beach House (right on the water), Eating House 1849 and had Puka dogs, poke and salads at various casual places around the island. There are also some big grocery stores near the airport if you will have a kitchen…which was great for us since we were in a house. We had all breakfasts/coffee and several lunches at the house between hikes and beach time and cooked two simple fish dinners at the house. Other places worth checking out: the quaint town of Hanalei, Spouting Horn, Ke’e Beach on the northshore, the Lighthouse. A highlight of our trip was the helicopter tour we took on Christmas Eve and we booked it through Jack Harter Helicopter tours. We also did a luau but chose to stay closer to our house and walked to the Sheraton for their luau. The food was so so but the entertainment was great and the setting is right on the beach. Since we flew out of Honolulu on our way back to Texas and had a long layover on our last day, we also worked in a trip to Pearl Harbor. Have a great time! You will, no matter what you choose to do! I moved from Terlingua to Portland, OR 10 years ago this August and this post is punching me in the face with nostalgia. Big Bend is the best. I used to run from my house up into the park on the regular. Clearly, I was crazy. Have fun in Kauai! Tune in to the coconut wireless and you’ll have a great time.